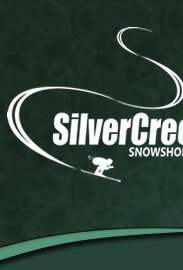 If you are a guest that is thinking about staying at Silver Creek, you have found the Silver Creek Homeowners Association website. If you intend on bringing your pet, you must first purchase a unit. Silver Creek is ONLY Pet Friendly if you own a unit. Guests are not permitted to bring pets. Guests with Service Animals and Emotional Support Animals should make themselves familiar with the process of requesting accommodation before lodging at the Silver Creek Lodge. If you smoke, please be aware that Silver Creek is a non-smoking facility. Smoking is only allowed inside a lodging unit and then only if allowed by the unit owner. No smoking includes every unit balcony and anywhere within 25 feet of any door, window or air intake. A smoking shelter is being provided behind Wing 5 across from the pool. If you have not signed up for the owner portion of the website please do so by registering here. By signing up you have access to items such as Board Minutes, Newsletters, Financials, Governing Documents, forms, rate schedules and other important information. You must be a current owner to have access to the owner portion of the website. On 6-25-18 the following new and amended policies will become effective. Pet, Emotional Support Animal, Service Animal, and Smoking Policies. It is important that you make yourself familiar with all of the policies. Rental and Real Estate Agents doing business within the Silver Creek Complex need to access the Rental Agent Page in order to obtain forms, rates and other important information. It is very important that all Rental Agents and Real Estate Agents understand the governing documents. Failure to follow certain rules and procedures may result in loss of doing business within the Silver Creek Lodge.